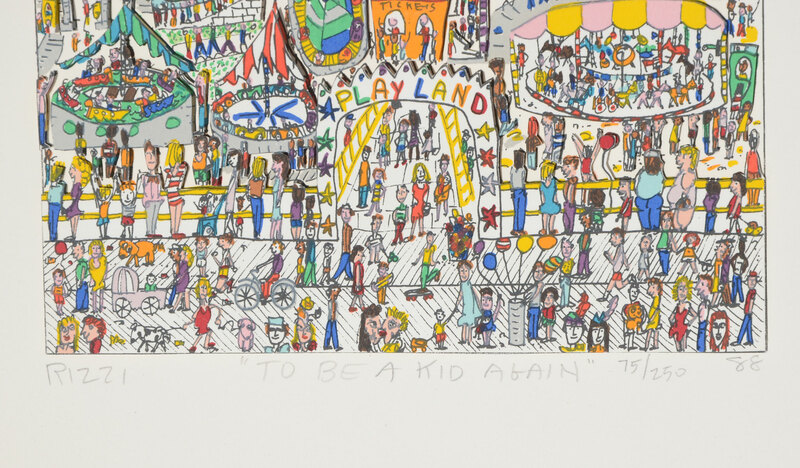 RIZZI, James, (American, 1950-2011): 1) ''To Be a Kid Again'', Serigraph, 12.25'' x 11'' with margins, pencil signed lower left and titled in the lower margin and numbered 75 of 250 lower right, dated '88, unframed. 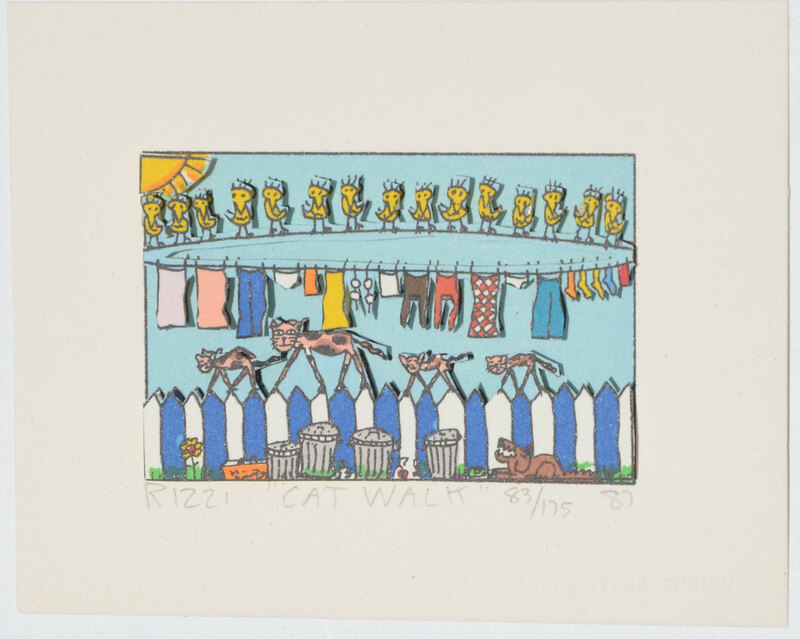 2) ''Catwalk'', Serigraph, 4'' x 5.25'' with margins, signed lower left, titled in the lower margin 83 of 175 and dated '87. 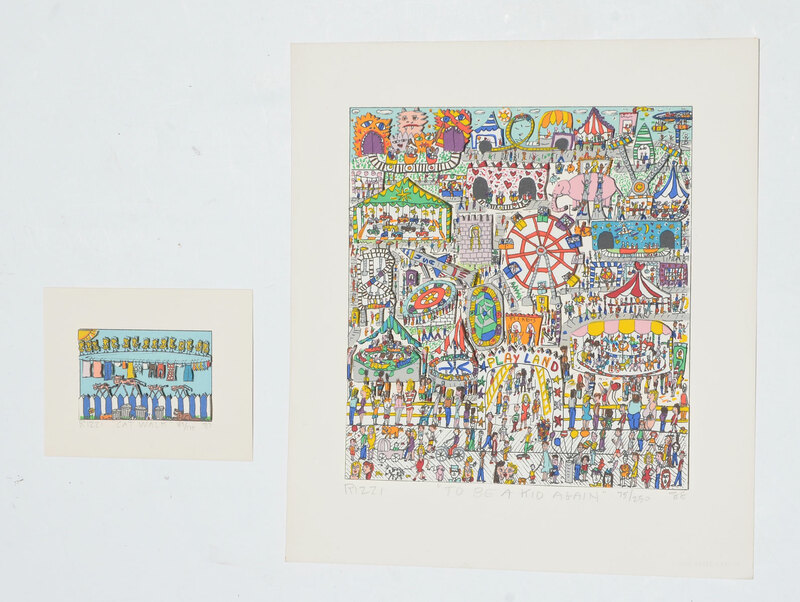 Both pieces have blind stamps lower right.